The military is a popular option for young men and women looking to accumulate life experience and credentials. However, fewer people end up devoting their entire careers to the military than those who are in for just a few years. For those who fulfill their obligations and then leave to pursue new opportunities, transitioning to civilian life can be daunting. For veteran and student Nick Hughes, help came in the form of a sponsorship from Goettl Air Conditioning owner Ken Goodrich. PHOENIX (July 13, 2015) – Goettl Air Conditioning, a leading heating and air conditioning company in Arizona, announced today the company donated two commercial evaporative air conditioners to Max’s Community Closet in July helping the charity to keep its doors open during the height of the hot summer months. The project, including the purchase and installation of the units, is valued at $12,000. Timing for the donation couldn’t have been more ideal as the store was facing closure due to temperatures inside the building exceeding 120 degrees making it unsafe for employees and the public. “After my wife told me about the store’s forced closure due to extreme heat, I knew I had to make contact right away”, said John Onorato, General Manager for The Sunny Plumber and Goettl Air Conditioning. Onorato quickly made contact with Max and his mother Lisa Hadsall, founders of Max’s Community Closet and together with Goettl company chairman, Dan Burke, arranged for the removal of the inoperative units and the installation of two state-of-the-art commercial evaporative air conditioning units. “Words cannot express how grateful we are. On behalf of Max’s and Extended Hands Food Bank, thank you! Your generosity has allowed us to continue to serve our community,” said Hadsall. “I am very proud that our team has rallied around our ‘Positive Impact’ initiative at Goettl. We endeavor to make a ‘Positive Impact’ on our customers, employees, industry and our community each and every day. 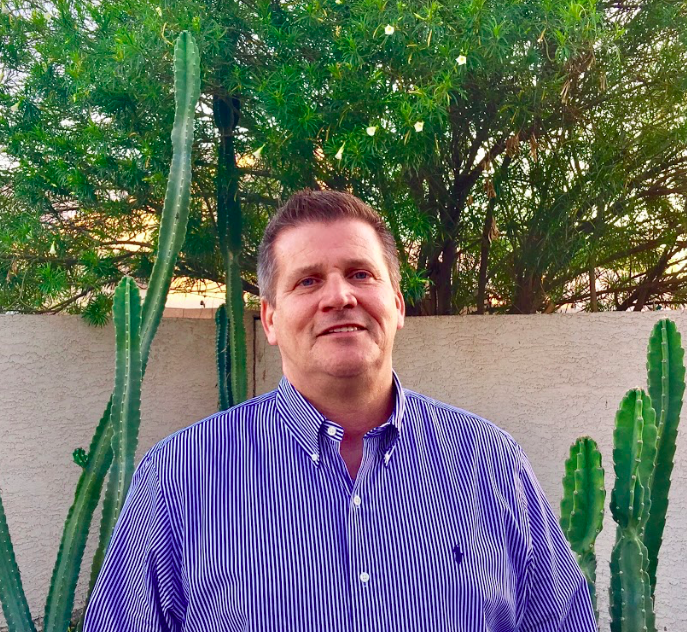 Helping Max’s Community Closet help others is the essence of our ‘Positive Impact’ culture”, said Kenneth Goodrich, President of Phoenix Peach LLC which owns Goettl Air Conditioning and The Sunny Plumber. Max’s Community Closet is a local nonprofit, charitable foundation selling low-cost new and gently used clothing, furniture and household items supported solely by donations. The non-profit store was created by 11-year-old Max Hadsall who had asked his mother, Lisa ‘what people who had to get food from the food bank did for other life essentials’. Having no definitive answer for him, Lisa encourage Max to talk to Pastor David Iverson who runs from the food bank and they helped him open the store. The operation assists individuals and families struggling to make ends meet in the Fountain Hills and surrounding communities and whose profits support the Extended Hands Food Bank. The facility is open to the public Fridays and Saturdays. For more information and to find out how you can help Max’s Community Closet and Extended Hands Food Bank visit http://www.ehfb.org/. Founded in 2012 by Phoenix Peach LLC, Goettl Air Conditioning is the premier provider of comfort services in Arizona’s competitive HVAC industry. The Goettl name has been recognized for excellence in heating and air conditioning installation and service since originally established by Gust and Adam Goettl in 1939. Now a trade name of Phoenix Peach LLC, the company’s highly trained technicians continue to provide excellence in customer service and technical expertise for both residential and commercial HVAC service and installation applications. To learn more about Goettl, please visit www.goettl.com or www.goettltucson.com, or follow the company on Facebook at http://www.facebook.com/goettl and on Twitter at @GoettlAir. Founded in 2012 by Phoenix Peach LLC, The Sunny Plumber is a licensed and bonded plumbing contractor that proudly offers a full line of plumbing services throughout the Phoenix and Tucson, Arizona areas. The company’s experienced team of skilled plumbers and professional staff are all background checked and dedicated to providing excellent customer service. From basic plumbing repairs, gas lines, slab leaks, garbage disposals and grease traps to water conditioning, drain and sewer services, the bright and shiny repairmen of The Sunny Plumber are ready for the job. To learn more about The Sunny Plumber, please visit www.thesunnyplumber.com or www.sunnyplumbertucson.com, or follow the company on Twitter at @TheSunnyPlumber.